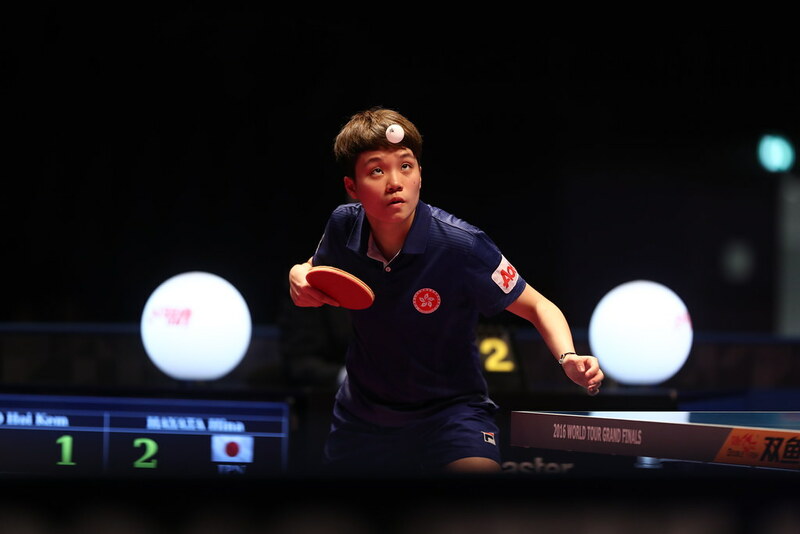 Runners up just over one year ago when the tournament was staged in Melbourne; the host nation’s Jian Fang Lay and Miao Miao made a successful start in their quest to repeat or even better the feat, on the morning of Tuesday 4th July at the Seamaster 2017 ITTF World Tour Platinum Australia Open in Gold Coast. The no.8 seeds, in the opening round of the Women’s Doubles event, they accounted for Chinese Taipei’s Cheng Hsien-Tzu and Liu Yu-Hsin in three straight games (11-9, 11-8, 11-8). However, they were to prove the only pair from the host nation to survive the opening round. Michelle Bromley and Melissa Tapper experienced defeat at the hands of Korea’s Choi Hyojoo and Jung Yumi, the no.7 seeds (11-4, 11-7, 11-4); in a somewhat closer contest Pang Kai and Fiona Zhu experienced defeat at the hands of Singapore’s Lin Ye and Zhou Yihan, the no.5 seeds (13-11, 11-6, 9-11, 9-11, 11-4). Success for seeded pairing, such was the situation in the majority of opening round Women’s Doubles contests; the exceptions to the rule being the walk-over gained by India’s Sutirtha Mukherjee and Pooja Sahasrabudhe over Chinese Taipei’s Chen Szu-Yu and Cheng I-Ching in addition to the success recorded by China’s Chen Xingtong and Wang Manyu. Impressively, Chen Xingtong and Wang Manyu accounted for Japan’s Yui Hamamoto and Kasumi Ishikawa, the no.6 seeds (17-15, 11-8, 11-8). Meanwhile, in the remaining opening round Women’s Singles contests it was success for the seeded combinations. Japan’s Hina Hayata and Mima Ito, the no.2 seeds, beat India’s Manika Batra and Madhurika Patkar (11-8, 11-13, 11-3, 11-8); Singapore’s Feng Tianwei and Yu Mengyu, the no.4 seeds, ended the hopes of the combination formed by Charlotte Carey of Wales and Switzerland’s Céline Reust (11-4, 11-2, 11-6). 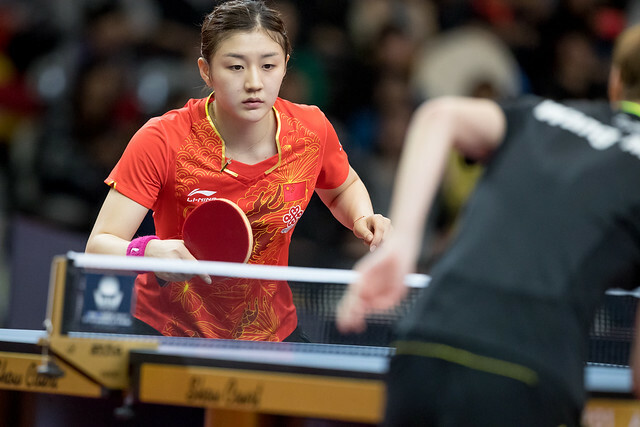 In the round of the last eight pairs, China Chen Meng and Zhu Yuling, the top seeds and not required to compete in the opening round, meet Choi Hyojoo and Jung Yumi; Jian Fang Lay and Miao Miao oppose Sutirtha Mukherjee and Pooja Sahasrabudhe. In the opposite half of the draw, Feng Tianwei and Yu Mengyu confront Chen Xingtong and Wang Manyu; Hina Hayata and Mima Ito face Lin Ye and Zhou Yihan. The quarter-final and semi-final matches in the Women’s Doubles event will be played on Wednesday 5th July.